From health-oriented basic training, to specifically targeted strength training and intensive cardio, to maximum strength training, Milon’s broad range of circuits spans every need and every performance level. In Milon circuits, you can practice strength and endurance training according to the latest findings from the field of sports science – and you do so as simply, safely, and effectively as possible. Used by more than two million people in Germany and Belgium, the Milon suite is the perfect solution for people who want to be fit and healthy but do not like exercise or do not have too much free time. 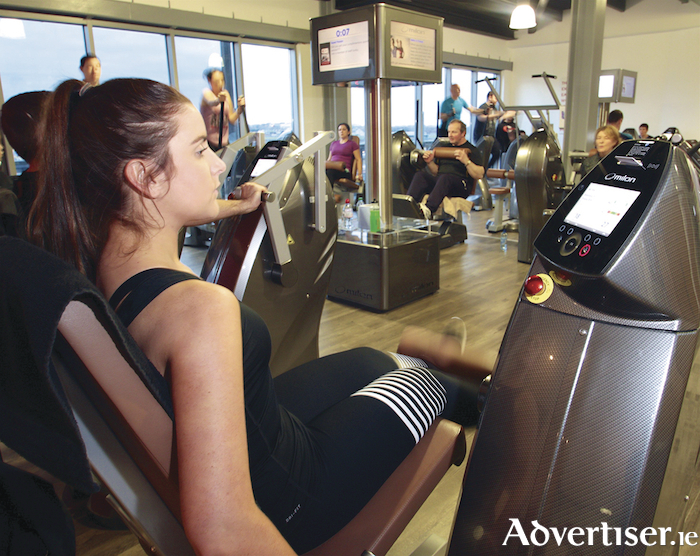 Fitness 35 has just launched its second circuit with a variety computerised machines such as leg press, triceps dip, ab rotator, three steppers, chest butterfly, biceps curl, lat pull down, and three crosswalkers. Gone are the days of adjusting machines and resistance, now Milon technology will do it all for you; even count your reps. You will look and train like a pro and get guaranteed results in just 35 minutes. And just two sessions every seven days is all it takes. You may have heard that strong is the new skinny. That is because strength machines burn more calories (body fat ) than cardio machines. Often, gym users are reluctant to include strength in their programme and rely too heavily on the familiar treadmill. With Milon, a 35 minute circle will burn more calories than 60 minutes on the treadmill. What’s more, its clever one minute per machine means that you will never have to queue, or ask somebody to move, or rely on a personal trainer for advice — this computerised, easy to use, smart card circuit does all the clever calculations for you. • Reduction of joint load. • Relieving pain in the back and joints. • Prevention of osteoporosis, arthrosis, and other joint complaints. • Strengthens skeleton, connective tissue, and musculature. • Increased overall physical strength for young and old. • Improves posture, decreasing risk of injury. • A 35 minute full body HITT training encourages 15 times more fat burning and 30 per cent more muscle building in half the time. • Personalised training programme with nutrition advice. "I always hated working out in the gym, but since I joined Fitness35 I have been so impressed with my results. I just love getting two to three Fitness35 sessions in every week. I feel so much healthier and happier since joining." — Lorraine Quirke. "I love Fitness35 because I feel more energetic and full of life afterwards. It keeps me very motivated and helps me achieve my goals. Staff are great with all your needs. Milon equipment is computerised training of the future with faster results and max efficiency." — Caitriona Baynes. "It's concise, great equipment, and perfect to complement my running training. The circuits are structured and easy to use and are great way to make you feel better, both physically and mentally." — Niall Diviney. To find out more, call in to the Fitness35 gym at the Briarhill Shopping Centre for a free trial, check it out on Facebook, call 091 762090, or email [email protected].